The Relativistic Heavy Ion Collider (RHIC) is actually two accelerators in one. Beams of ions travel around its 2.4-mile-circumference rings in opposite directions at nearly the speed of light, coming into collision at points where the rings cross. January 2 marked the startup of the 19th year of physics operations at the Relativistic Heavy Ion Collider (RHIC), a U.S. Department of Energy Office of Science user facility for nuclear physics research at Brookhaven National Laboratory. Physicists will conduct a series of experiments to explore innovative beam-cooling technologies and further map out the conditions created by collisions at various energies. 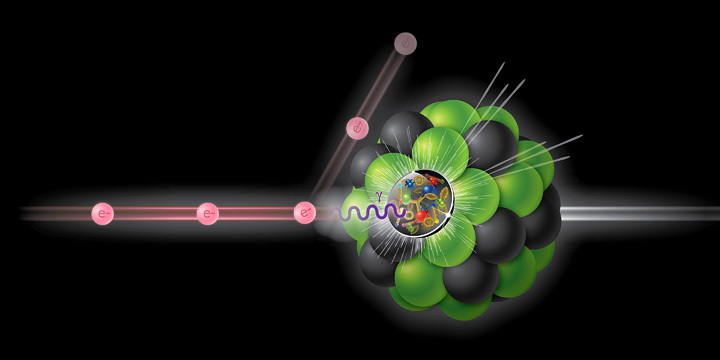 The ultimate goal of nuclear physics is to fully understand the behavior of nuclear matter—the protons and neutrons that make up atomic nuclei and those particles’ constituent building blocks, known as quarks and gluons. 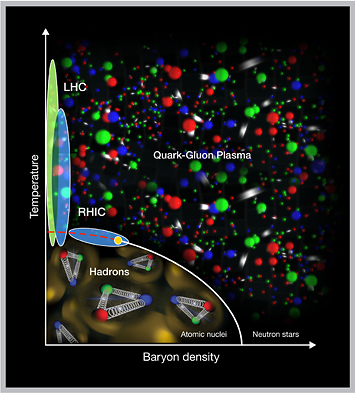 The STAR collaboration’s exploration of the “nuclear phase diagram” so far shows signs of a sharp border—a first-order phase transition—between the hadrons that make up ordinary atomic nuclei and the quark-gluon plasma (QGP) of the early universe when the QGP is produced at relatively low energies/temperatures. The data may also suggest a possible critical point, where the type of transition changes from the abrupt, first-order kind to a continuous crossover at higher energies. New data collected during this year’s run will add details to this map of nuclear matter’s phases. Many earlier experiments colliding gold ions at different energies at RHIC have provided evidence that energetic collisions create extreme temperatures (trillions of degrees Celsius). These collisions liberate quarks and gluons from their confinement with individual protons and neutrons, creating a hot soup of quarks and gluons that mimics what the early universe looked like before protons, neutrons, or atoms ever formed. 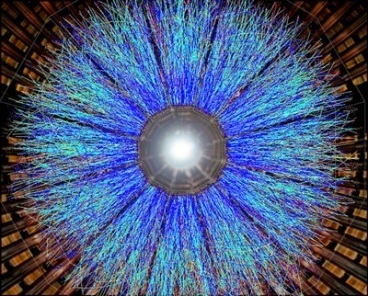 “The main goal of this run is to turn the collision energy down to explore the low-energy part of the nuclear phase diagram to help pin down the conditions needed to create this quark-gluon plasma,” said Daniel Cebra, a collaborator on the STAR experiment at RHIC. Cebra is taking a sabbatical leave from his position as a professor at the University of California, Davis, to be at Brookhaven to help coordinate the experiments this year. STAR is essentially a house-sized digital camera with many different detector systems for tracking the particles created in collisions. Nuclear physicists analyze the mix of particles and characteristics such as their energies and trajectories to learn about the conditions created when ions collide. 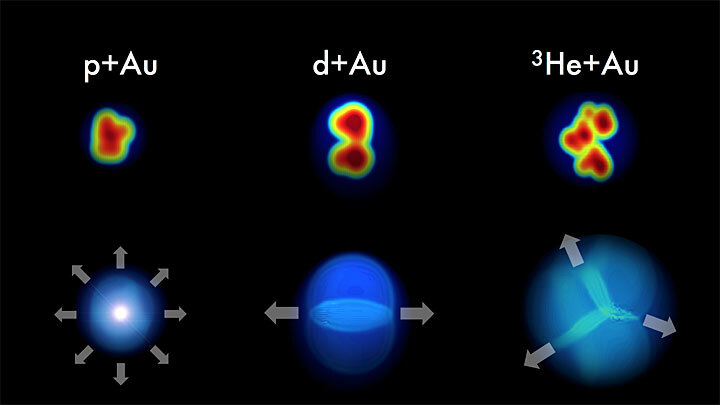 By colliding gold ions at various low energies, including collisions where one beam of gold ions smashes into a fixed target instead of a counter-circulating beam, RHIC physicists will be looking for signs of a so-called “critical point.” This point marks a spot on the nuclear phase diagram—a map of the phases of quarks and gluons under different conditions—where the transition from ordinary matter to free quarks and gluons switches from a smooth one to a sudden phase shift, where both states of matter can coexist. STAR will have new components in place that will increase its ability to capture the action in these collisions. 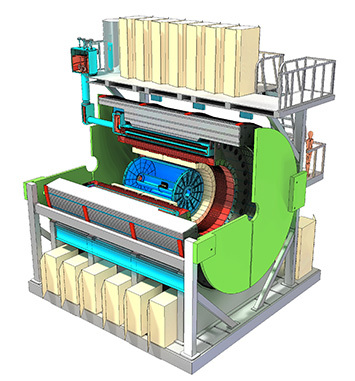 These include new inner sectors of the Time Projection Chamber (TPC)—the gas-filled chamber particles traverse from their point of origin in the quark-gluon plasma to the sensitive electronics that line the inner and outer walls of a large cylindrical magnet. There will also be a “time of flight” (ToF) wall placed on one of the STAR endcaps, behind the new sectors. “The main purpose of these is to enhance STAR’s sensitivity to signatures of the critical point by increasing the acceptance of STAR—essentially the field of view captured in the pictures of the collisions—by about 50 percent,” said James Dunlop, Associate Chair for Nuclear Physics in Brookhaven Lab’s Physics Department. “Both of these components have large international contributions,” Dunlop noted. “A large part of the construction of the iTPC sectors was done by STAR’s collaborating institutions in China. The endcap ToF is a prototype of a detector being built for an experiment called Compressed Baryonic Matter (CBM) at the Facility for Antiproton and Ion Research (FAIR) in Germany. 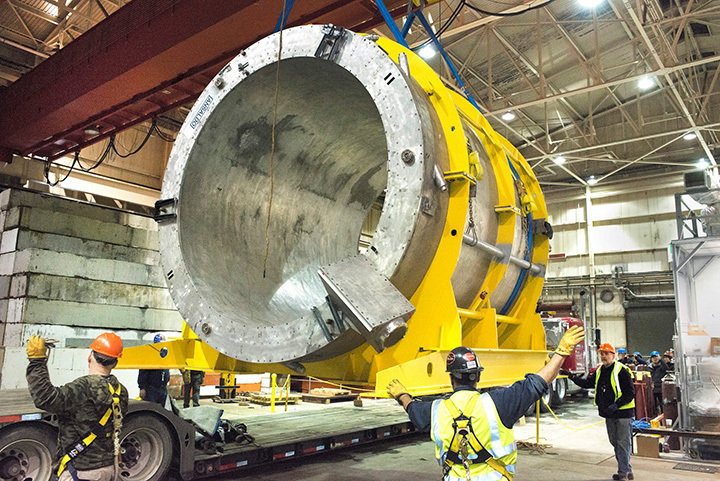 The early tests at RHIC will allow CBM to see how well the detector components behave in realistic conditions before it is installed at FAIR while providing both collaborations with necessary equipment for a mutual-benefit physics program,” he said. A schematic of low-energy electron cooling at RHIC, from right: 1) a section of the existing accelerator that houses the beam pipe carrying heavy ion beams in opposite directions; 2) the direct current (DC) electron gun and other components that will produce and accelerate the bright beams of electrons; 3) the line that will transport and inject cool electrons into the ion beams; and 4) the cooling sections where ions will mix and scatter with electrons, giving up some of their heat, thus leaving the ion beam cooler and more tightly packed. Before the collision experiments begin in mid-February, RHIC physicists will be testing a new component of the accelerator designed to maximize collision rates at low energies. That makes it less likely that an ion in one beam will strike an ion in the other. To counteract this heating/spreading, accelerator physicists at RHIC have added a beamline that brings accelerated “cool” electrons into a section of each RHIC ring to extract heat from the circulating ions. This is very similar to the way the liquid running through your home refrigerator extracts heat to keep your food cool. But instead of chilled ice cream or cold cuts, the result is more tightly packed ion bunches that should result in more collisions when the counter-circulating beams cross. Last year, a team led by Alexei Fedotov demonstrated that the electron beam has the basic properties needed for cooling. After a number of upgrades to increase the beam quality and stability further, this year’s goal is to demonstrate that the electron beam can actually cool the gold-ion beam. The aim is to finish fine-tuning the technique so it can be used for the physics program next year. In an Electron-Ion Collider, a beam of electrons (e-) would scatter off a beam of protons or atomic nuclei, generating virtual photons (λ)—particles of light that penetrate the proton or nucleus to tease out the structure of the quarks and gluons within. Science can explain only a small portion of the matter that makes up the universe, from the earth we walk on to the stars we see at night. 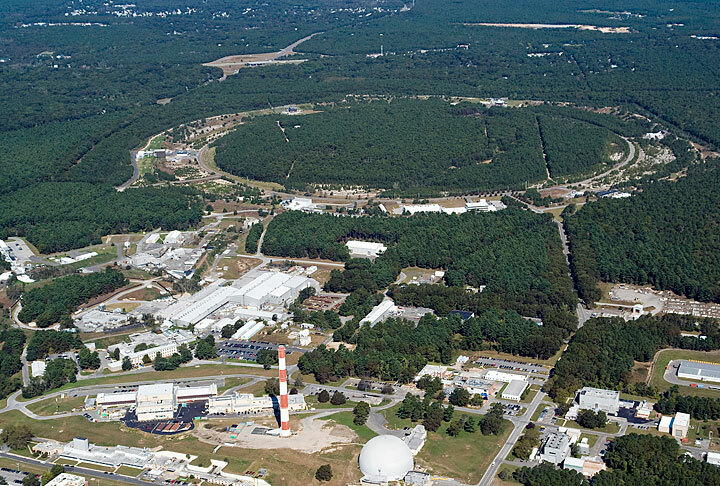 Stony Brook University and the U.S. Department of Energy’s (DOE) Brookhaven National Laboratory (BNL) have established the Center for Frontiers of Nuclear Science to help scientists better understand the building blocks of visible matter. The new Center will push the frontiers of knowledge about quarks, gluons and their interactions that form protons, neutrons, and ultimately 99.9 percent of the mass of atoms – the bulk of the visible universe. Bolstered by a new $5 million grant from the Simons Foundation and augmented by $3 million in research grants received by Stony Brook University, the Center will be a research and education hub to ultimately help scientists unravel more secrets of the universe’s strongest and least-understood force to advance both fundamental science and applications that transform our lives. The Center brings together current Stony Brook faculty and BNL staff, and scientists around the world with students and new scientific talent to investigate the structure of nucleons and nuclei at a fundamental level. Despite the importance of nucleons in all visible matter, scientists know less about their internal structure and dynamics than about any other component of visible matter. Over the next several decades, the Center is slated to become a leading international intellectual hub for quantum chromodynamics (QCD), a branch of physics that describes the properties of nucleons, starting from the interactions of the quarks and gluons inside them. 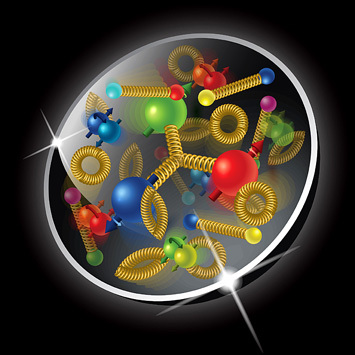 An Electron-Ion Collider would probe the inner microcosm of protons to help scientists understand how interactions among quarks (colored spheres) and glue-like gluons (yellow) generate the proton’s essential properties and the large-scale structure of the visible matter in the universe today. As part of the Center’s mission as a destination of research, collaboration and education for international scientists and students, workshops and seminars are planned for scientists to discuss and investigate theoretical concepts and promote experimental measurements to advance QCD-based nuclear science. 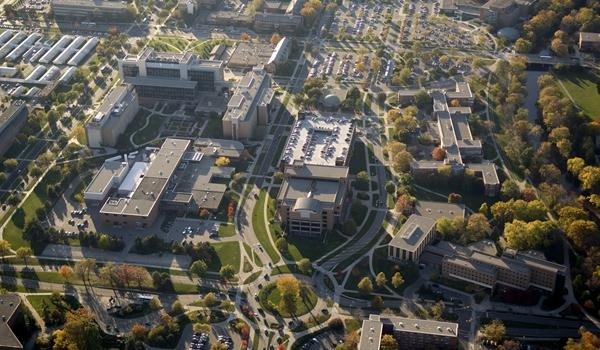 The Center will support graduate education in nuclear science and conduct visitor programs to support and promote the Center’s role as an international research hub for physics related to a proposed Electron Ion Collider (EIC). One of the central aspects of the Center’s focus during its first few years will be activities on the science of a proposed EIC, a powerful new particle accelerator that would create rapid-fire, high-resolution “snapshots” of quarks and gluons contained in nucleons and complex nuclei. An EIC would enable scientists to see deep inside these objects and explore the still mysterious structures and interactions of quarks and gluons, opening up a new frontier in nuclear physics. Building an EIC and its research program in the United States would strengthen and expand U.S. leadership in nuclear physics and stimulate economic benefits well into the 2040s. In 2015, the DOE and the National Science Foundation’s Nuclear Science Advisory Committee recommended an EIC as the highest priority for new facility construction. 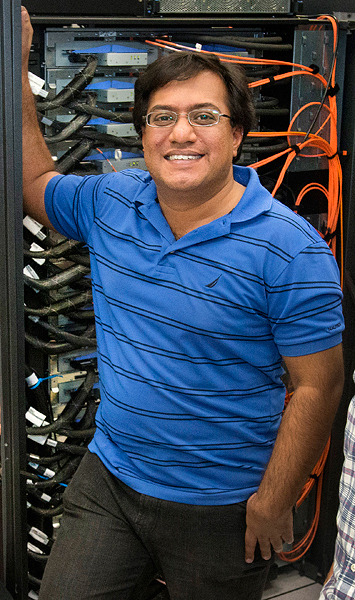 Similar to explorations of fundamental particles and forces that have driven our nation’s scientific, technological, and economic progress for the past century — from the discovery of electrons that power our sophisticated computing and communications devices to our understanding of the cosmos — groundbreaking nuclear science research at an EIC will spark new innovations and technological advances. Stony Brook and BNL have internationally renowned programs in nuclear physics that focus on understanding QCD. 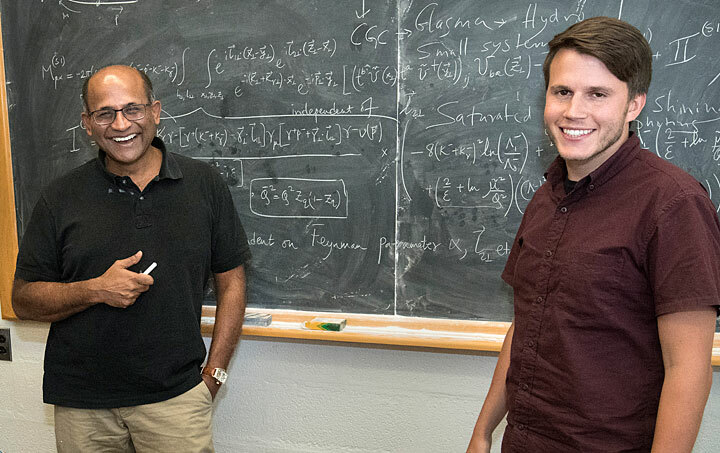 Stony Brook’s nuclear physics group has recently expanded its expertise by adding faculty in areas such as electron scattering and neutrino science. BNL operates the Relativistic Heavy Ion Collider, a DOE Office of Science User Facility and the world’s most versatile particle collide. 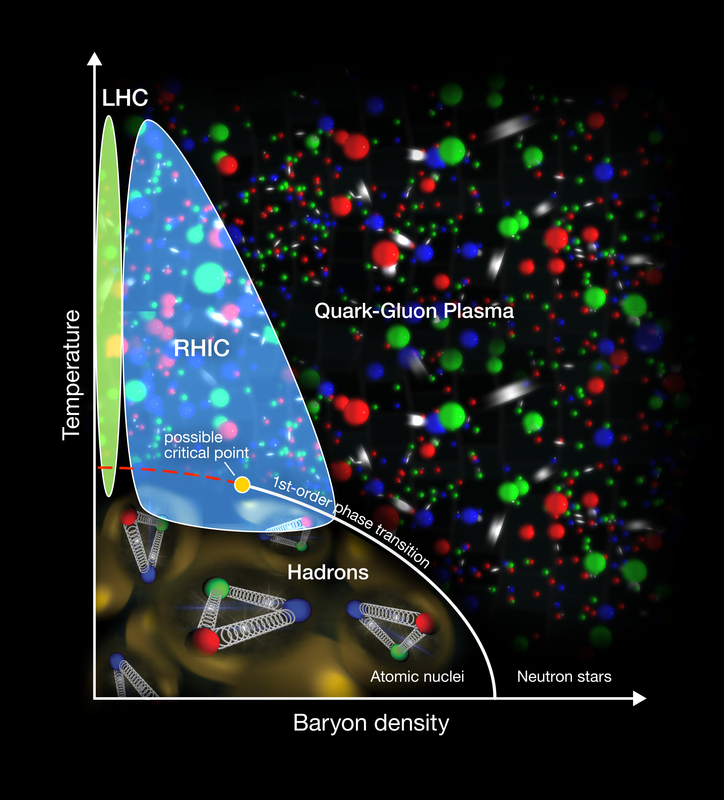 RHIC has pioneered the study of quark-gluon matter at high temperatures and densities—known as quark-gluon plasma— and is exploring the limits of normal nuclear matter. Together, these cover a major part of the course charted by the U.S. nuclear science community in its 2015 Long Range Plan. Abhay Deshpande, PhD, Professor of experimental nuclear physics in the Department of Physics and Astronomy in the College of Arts and Sciences at Stony Brook University, has been named Director of the Center. Professor Deshpande has promoted an EIC for more than two decades and helped create a ~700-member global scientific community (the EIC Users Group, EICUG) interested in pursuing the science of an EIC. 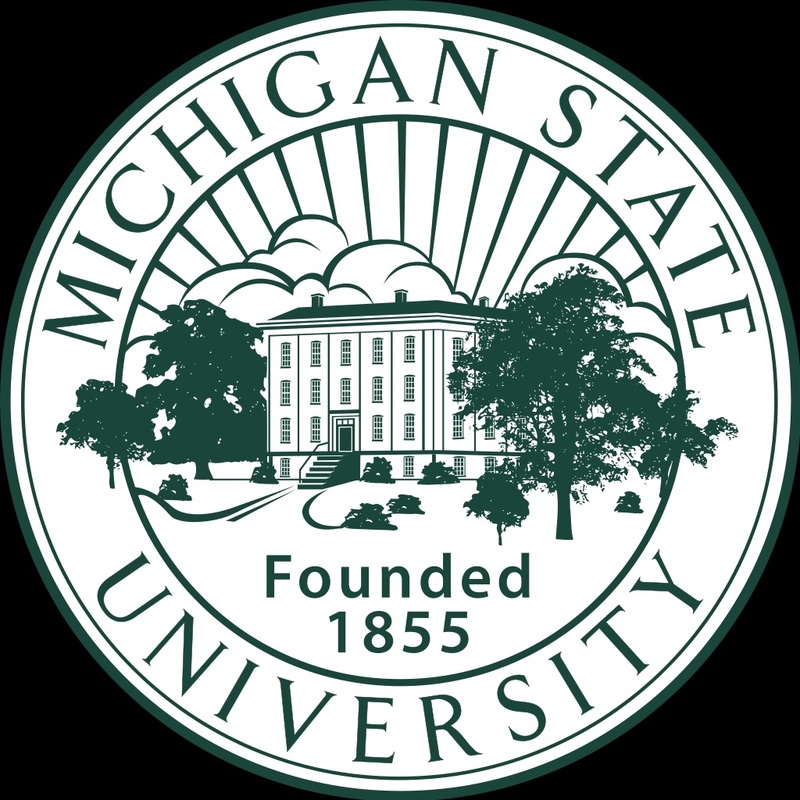 In the fall of 2016, he was elected as the first Chair of its Steering Committee, effectively serving as its spokesperson, a position from which he has stepped down to direct the new Center. Concurrently with his position as Center Director, Dr. Deshpande also serves as Director of EIC Science at Brookhaven Lab. Scientists at the Center, working with EICUG, will have a specific focus on QCD inside the nucleon and how it shapes fundamental nucleon properties, such as spin and mass; the role of high-density many-body QCD and gluons in nuclei; the quark-gluon plasma at the high temperature frontier; and the connections of QCD to weak interactions and nuclear astrophysics. Longer term, the Center’s programmatic focus is expected to reflect the evolution of nuclear science priorities in the United States.